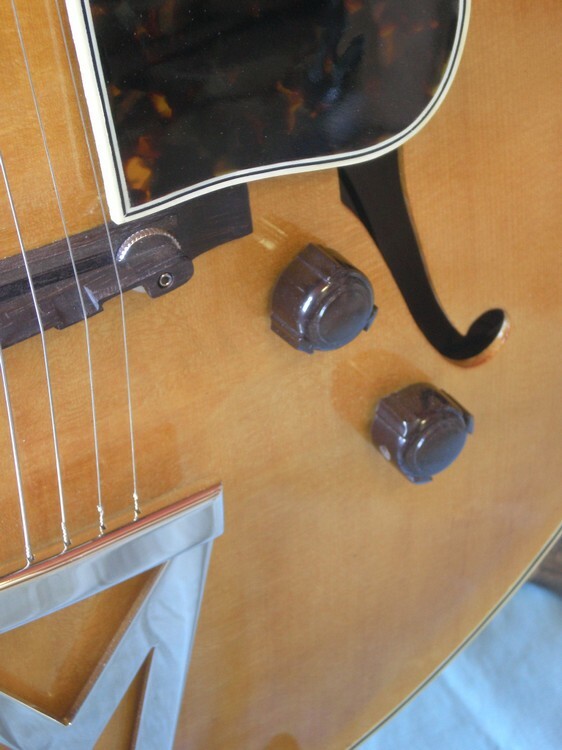 On the 150 and 250 models real bakelite knobs are used, exact replica's of the knobs from the thirties, made by CC Pickups in Great-Britain that also produces the CC pickups. 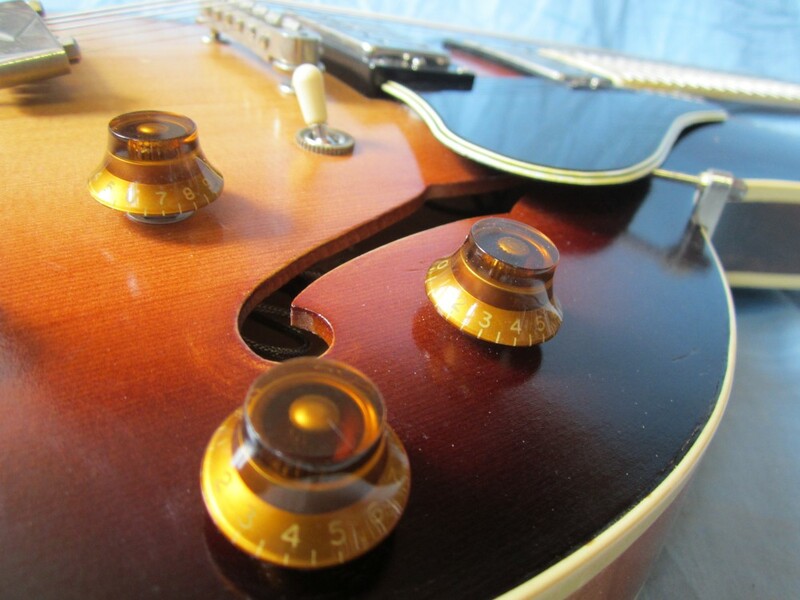 Other style knobs are vintage Gibson style top hat knobs in amber or gold. 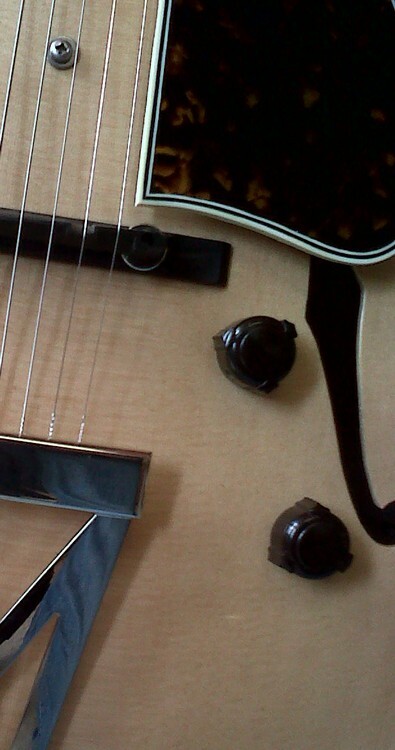 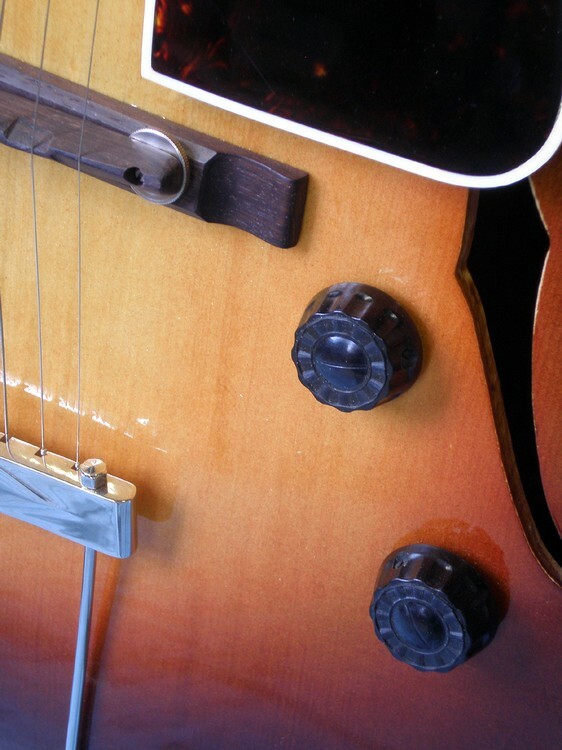 The bakelite replica knobs are standard on Slaman guitars, unless otherwise noted. 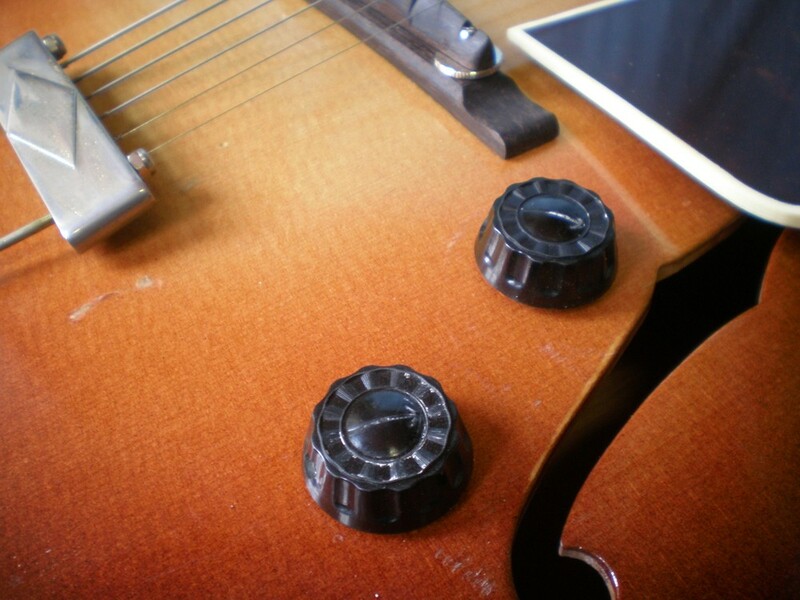 Sometimes genuine vintage bakelite knobs are available, click here to find out more about these. 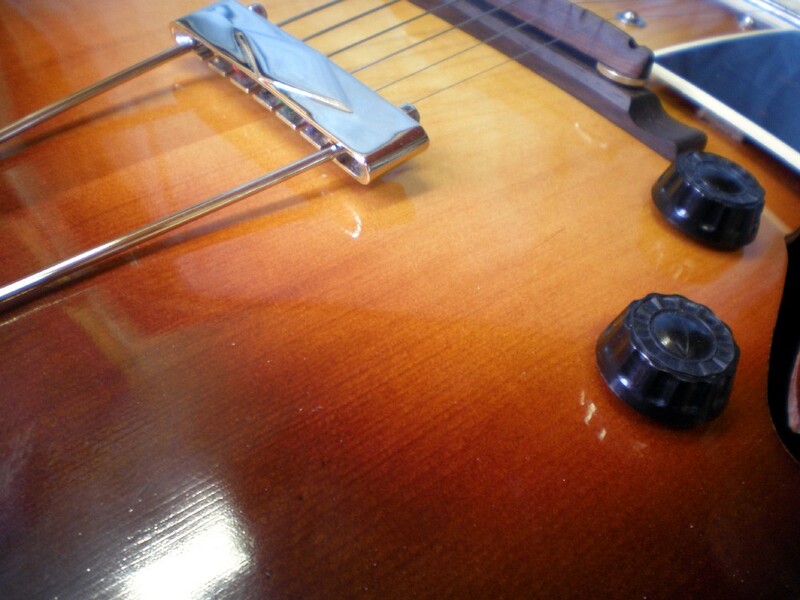 They are guaranteed athentic vintage knobs.